When versatility is what you need, choose this No Boundaries travel trailer toy hauler for your new basecamp when out exploring on your ATV or dirt bikes. Model NB10.6 provides a rear ramp door so you can easily load and unload all of your gear and toys. Coming in just under 2,000 lbs. you will easily be able to tow it with your mid-sized SUV or small truck. There is plenty of storage space throughout, plus an outdoor slide out cook-top and cooler so you can enjoy a warm meal. 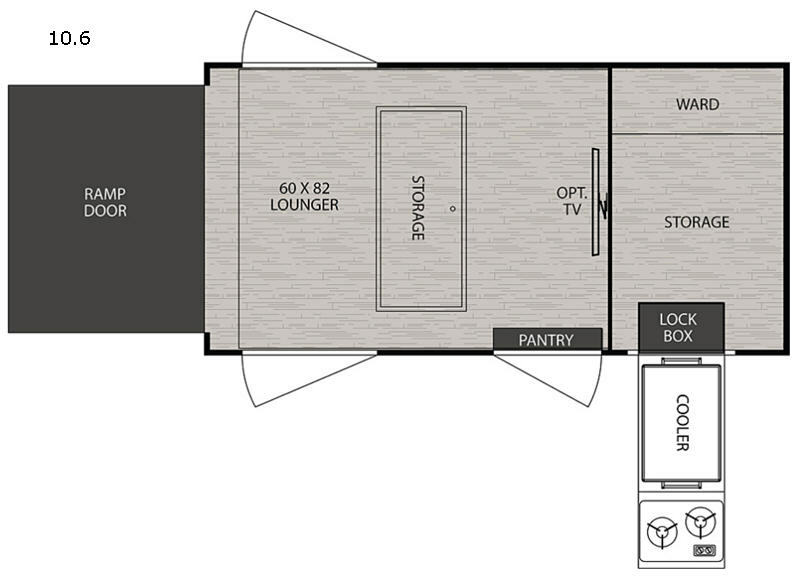 There is also a 60" x 82" lounger in back for two to sleep comfortable inside. LED lighting, both inside and out, makes any task easy to accomplish even after dark. 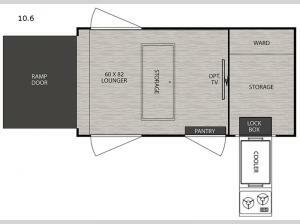 Add the optional TV for your inside enjoyment, plus so much more! No matter what dream or adventure you happen to be chasing, a Forest River No Boundaries model will help you get there. All units feature industry leading ground clearance along with larger diameter tires and a nimble suspension system which makes it easy for you to go a little further off the beaten path. These units are offered in a variety of layouts and provide loads of adaptable storage for equipment and gear like kayaks, bicycles, fishing gear, surf boards, and so much more! They can also be easily towed by most four or six cylinder vehicles with models ranging in weight from 2,000 on up to 5,000 lbs. When your adventures push the limits, choose a Forest River No Boundaries travel trailer or toy hauler! Because our price on this unit is lower than the manufacturer's minimum advertised price, the manufacturer does not allow us to show you our price until you request it. Retailers like Fun Town RV have the legal right to set our own prices independently. Requesting the price allows us to show you our price consistent with our goal of always offering you the lowest possible prices on the widest selection of units. PAYMENTS ARE ESTIMATES WITH 20% DOWN PAYMENT. BASED ON APPROVED CREDIT PLUS TAX, TITLE AND LICENSE FEES OF SELLING PRICE. NOT? ?ALL? ?CUSTOMERS? ?WILL? ?QUALIFY? ?FOR? ?THESE? ?RATES? ?AND? ?TERMS. 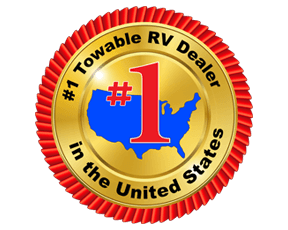 Fun Town RV is not responsible for pricing errors, typos, or incorrect information on our website. Manufacturer and/or stock photographs, floor plans, and specifications may be used. Prices listed include dealer preparation, walk through orientation, and factory freight. Prices exclude sales tax, license fee, documentary fee, and state inspection fee. Any calculated payment information is an estimate only and does not constitute a guarantee that financing or a specific rate or term is available. Units are subject to prior sale until a buyers order is submitted and a deposit made. Please verify unit availability by calling 855-867-1433 as our inventory changes rapidly.